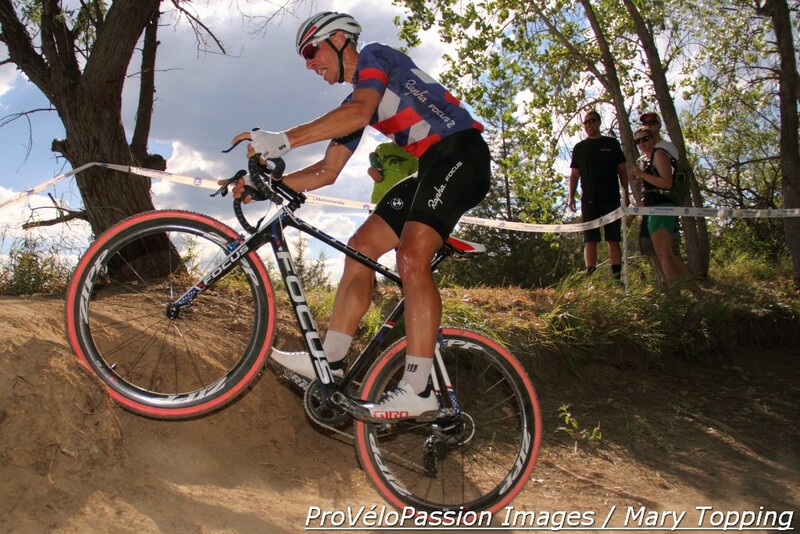 As is so often the case when Jeremy Powers (Aspire Racing) comes out to play on a cyclocross bike, he rode alone off the front, this time in a local race north of Boulder, Colorado. 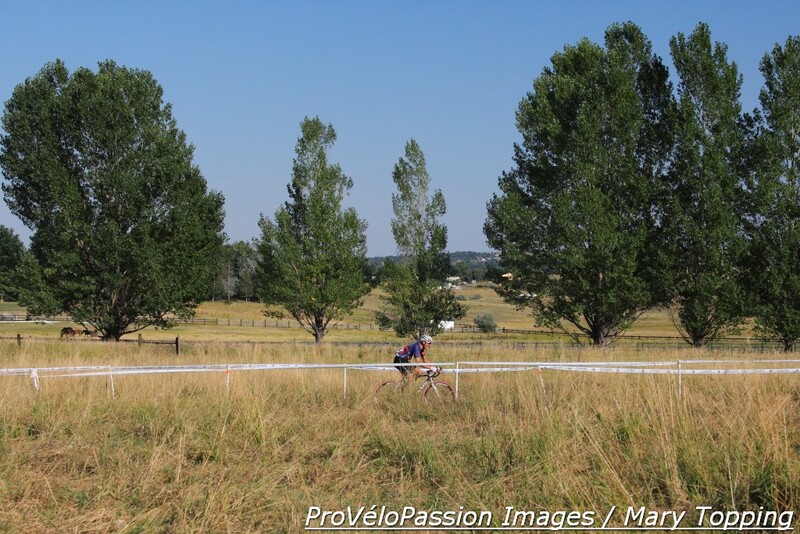 The J-Pow / FasCat Cyclocross Season Kick-Off – which Powers won – capped off a three-day camp organized for last week by FasCat Coaching with the reigning national champion. The victory, albeit at a good-times local event, sent a signal. Powers is ready for this coming weekend’s first race on the USA Cycling Pro CX calendar, Full Moon Vista – Ellison Park Cyclocross Festival, in Rochester, NY. He weighs in a wee bit more than this time last year due to changed-up off-season training. He’s gained, he said, “a couple of pounds” of muscle (not the three reported by VeloNews). After the race Powers couldn’t say if the effort felt any different as a result of the new program and other changes that include bike position. As his first hard competition for the 2015/16 season, it’s too soon to tell. Without Limits Productions promoted the non-USAC sanctioned J-Pow / FasCat Cyclocross Season Kick-Off which was designed as an opportunity to stretch the legs and have a good time. It took place on Oskar Blues Brewery property. 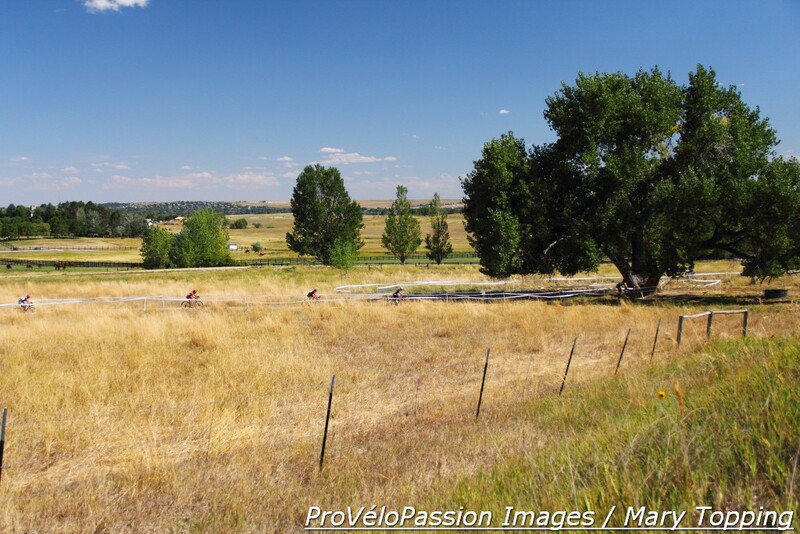 With a pond, views of the Rocky Mountain foothills and fields dotted with grazing horses, the space provided one of the most scenic venues for ‘cross racing on the Front Range. The course swung by a live band, through hops fields, and over a fly-over and tree trunk shaped barriers. See more images from both races, a write-up with more quotes from Powers on his website, and also a ProVéloPassion report with photo gallery on the women’s elite race won by Ellen Van Loy of Telenet-Fidea.